Your HPE partner now offers an integrated data Availability solution based on Hewlett Packard Enterprise (HPE) ProLiant server platform and StoreOnce VSA software combined with a choice of Veeam Software to provide enterprise class data availability at SMB price. This solution can be purchased for either a stand-alone data availability solution for the SMB, or a Remote Office/Back Office (ROBO) solution for the midsize or enterprise environments. 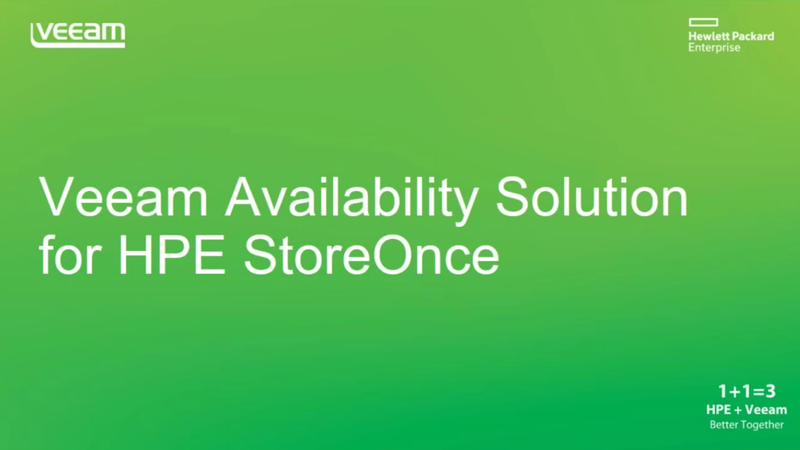 The Veeam Availability Solution for HPE StoreOnce delivers far more than just the standard backup appliance, and is available for order now.